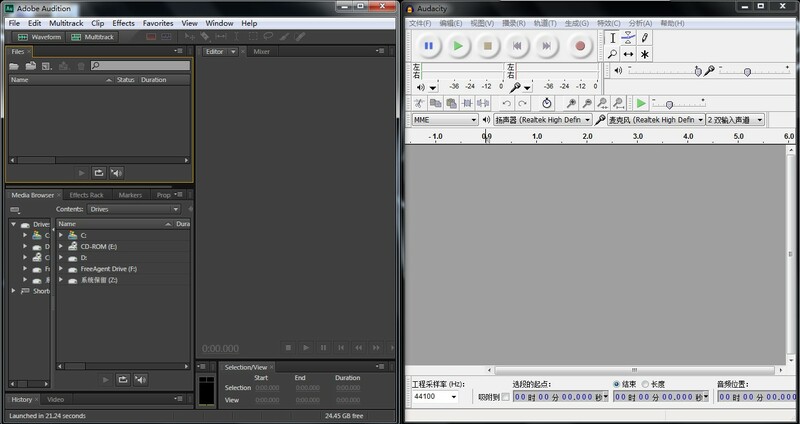 Knowing Audacity from flipped lecture is really a big help for me to edit sound, I have Adobe Audition on my computer but I never bother to use it, because I get freaked out by its interface all the time. I’m not a sound expert so I won’t need 90% functions of Adobe Audition, and I failed to find software that meets my needs until today. In the past, I mostly relied on the sound editing function which is built in Adobe After effect, again it is powerful but I always ended up getting too many layers just for sound. Along with all the footage, it is a disaster on my small laptop screen. The lecture also interested me in Garage band, which I could use to compose my own background music for the following short film, but it is a shame that I haven’t got a Mac. This is comparison of interfaces of Adobe Audition and Audacity, I know Audacity doesn’t look as cool as Audition, but it simplified all the functions I don’t ever need in the size of 8 Mb, thumbs up for that. 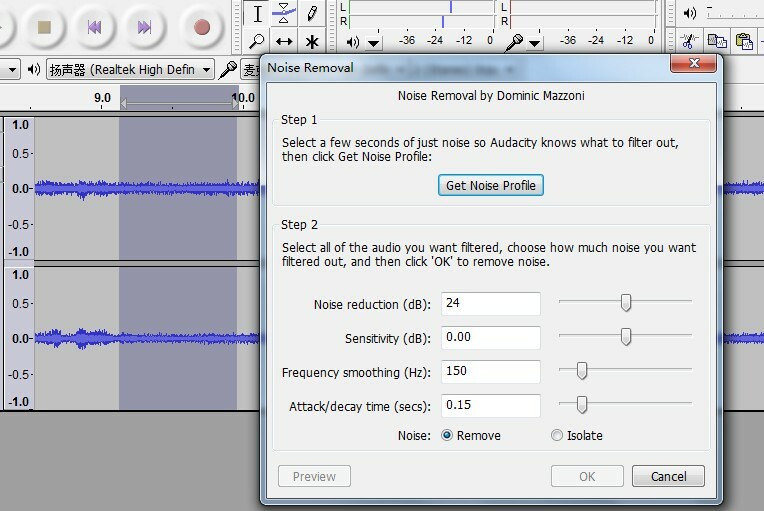 Next I would like to do a test on one of the voice files that I recorded for my documentary project referring to Audacity video tutorials part 1 and 2 on flipped lecture. 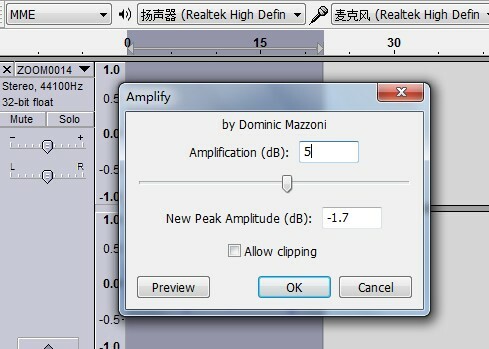 After I set up the preferences and imported the sound file, first thing I have to do is to cut off the unnecessary part and reduce the back ground noise. 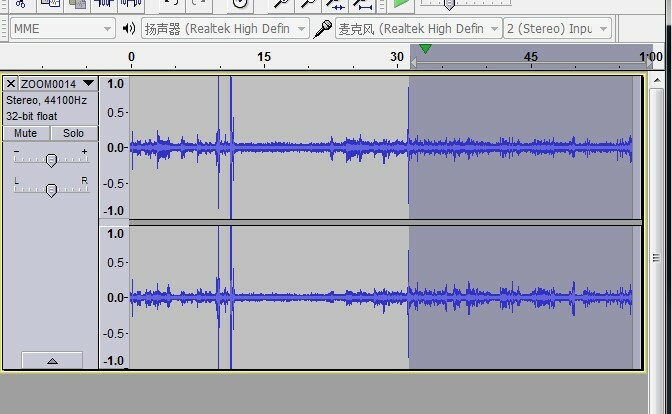 I got lost on the cutting part so I went through another tutorial ‘Audacity Cut Music’ on YouTube, and finally I have got the part I want. Since we were recording this in a noisy cafeteria, the background noise is real pain in the neck, after several tries on getting the noise profile and adjusting the removal settings, I have got the final result done, although it is still with a bit of noise but it is much better than before. And then export it as MP3, done! 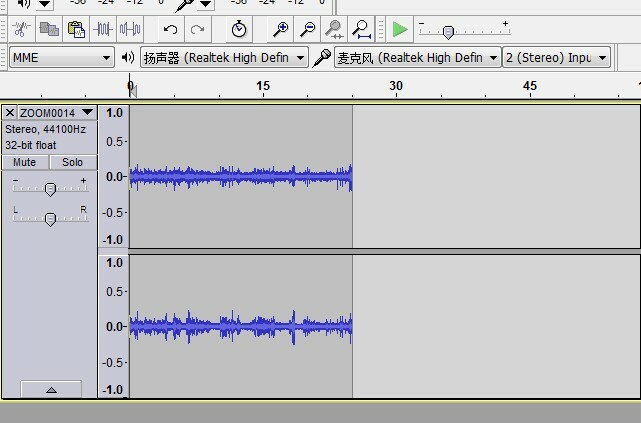 The first experience with Audacity is fresh, some of the shortcuts work different with Adobe software, but overall I think Audacity is able to perform basic audio editing and format transfers in an intuitive way that many beginners have no trouble understanding. And it’s free!